San Diego at New York Jets - I really hate having to rely on the Chargers when they cross the country. They have been reasonably solid, though, and come into this one well rested after a bye week. The Jets, meanwhile, are coming off a short week, and have some obvious issues that are going to be hard for them to overcome against one of the best teams in the AFC. I could definitely come to regret this one, but I’ll take the Chargers. Seattle at Cleveland - Tough game because these are similar teams. Both have some things that are worth getting excited about, but also a whole lot of problems to deal with. I don’t like taking the Seahawks on long road trips any more than I like taking the Chargers, but I have been impressed with how Tarvaris Jackson has advanced week by week, and a bye week to prepare and expand the playbook should really be a benefit for him. Take the Seahawks. Atlanta at Detroit - If the Lions play the game they played in the first five weeks then they’ll come out of this one on top. That was a very tough loss for them on Sunday, though, and the reaction at the end by Coach Jim Schwartz showed just how much losing hurt them. They need to rebound and regroup, and this team has very little experience doing so. I’ll still take them at home because the Falcons are so troubled, but I don’t feel nearly as good about it as I wish I could. Take the Lions. Washington at Carolina - The Panthers have taken steps back in their last two, and teams are getting much better at dealing with Cam Newton and his tremendous skills. Washington has some QB issues that are a real concern, but their defense is solid, and that should be enough here. Take the Redskins. Chicago at Tampa Bay - After their strong win last week I am willing to give the Bucs a total mulligan for that mess of a game in San Francisco two weeks back. The Bears have not traveled well this year, and they are not nearly as good as the pathetic Vikings made them look. I have faith in Tampa Bay in the long run, and I’ll certainly take Tampa Bay here. Denver at Miami - These are two teams in turmoil. The Dolphins are counting the rest of Tony Sparano’s coaching career in minutes, not years. The Broncos seems determined to get rid of every receiver they have. They are also both in the dawn of new quarterback eras whether they want to be or not. I’d rather not pick either one of these teams, but that’s not allowed. Take the Dolphins. Houston at Tennessee - Houston was handed the AFC South on a silver platter, but they just don’t seem to want it. What a mess of a team. If this team doesn’t make the playoffs and the coaching staff survives then there is something very wrong. Tennessee has been good at home, they are rested, and they will be determined to put their stamp on the division as well. Take the Titans. Pittsburgh at Arizona - The Steelers aren’t winning pretty, but they are winning. Arizona has too many problems to count, and will need more time than they have to fully work them out. Take the Steelers. Kansas City at Oakland - The Raiders have had serious QB issues, and they are worried enough about them that they traded for Carson Palmer, although it is probably doubtful he will play this week. The Chiefs have won two straight and have had a week off to work on some issues. I’ll go for the minor upset. Take the Chiefs. Green Bay at Minnesota - Take the Packers. There’s nothing else to say. St. Louis at Dallas - I like the pickup of Brandon Lloyd by the Rams, but that’s not enough yet to solve their issues or turn things around in short order. Dallas lost a tough one last week, and I am counting on them to be hungry and angry. Take the Cowboys. Indianapolis at New Orleans - The Saints were disappointing last week in losing to the Bucs. I think they could play significantly worse than they did last week and still be in very good shape here. Take the Saints. Baltimore at Jacksonville - One of these teams is really good. One of them really, really isn’t. If you don’t immediately know which is which then you have some issues. Take the Ravens. Strike Point Sports is showing the world why they are considered one of the top NFL handicappers in the nation. That is now 7-0 for NFL picks the last two weeks including a Game of the Year winner last week. 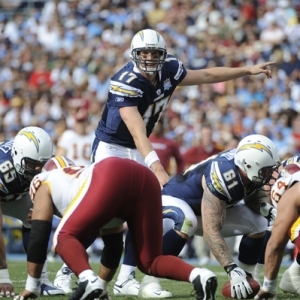 He has now earned a profit in six straight NFL weeks and $100 bettors have made $5,600. Click Here to buy picks.